Hritik Roshan celebrated his birthday on 10 January and social media was flooded with wishes and messages for the superstar. Among all those wishes, Tiger Shroff paid a tribute to the star in an interesting way. 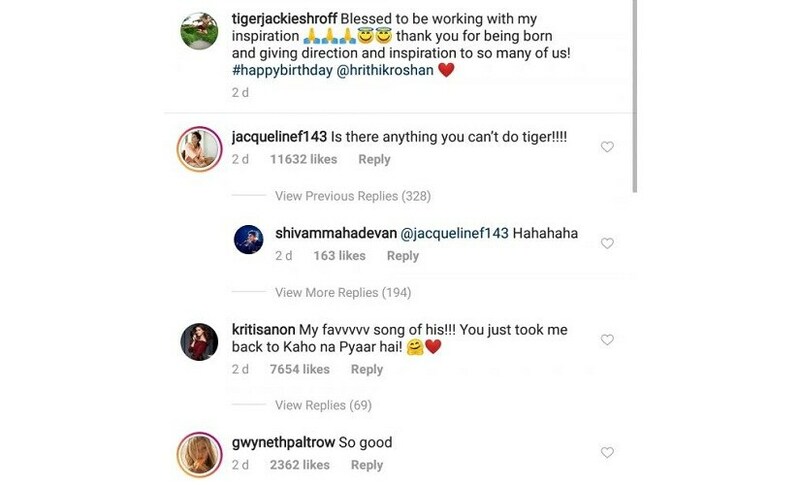 Tiger took to his Instagram page and conveyed his birthday wishes by dancing on the iconic track 'Ek Pal Ka Jeena' from Roshan's debut film Kaho Naa... Pyaar Hai. The post saw many Bollywood celebs praising him but surprisingly, it has made it to Hollywood too. Oscar award-winning actress Gwyneth Paltrow left a comment on Shroff's dance video by saying, "So good". Hrithik and Tiger are all set to share screen space for the first time in Siddharth Anand's upcoming directorial which will be produced by Yash Raj Films. As per a Firstpost report, the film will feature Shroff and Roshan against each other. Hrithik will play the role of Tiger's Guru (teacher). 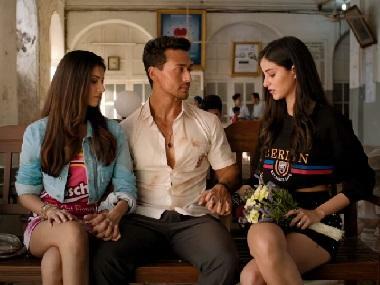 However, next in his pipeline, Shroff will be seen in the Dharma Productions' sequel to 'Student of the Year', alongside debut actresses Tara Sutaria and Ananya Pandey. It is slated to release on 10 May, 2019.